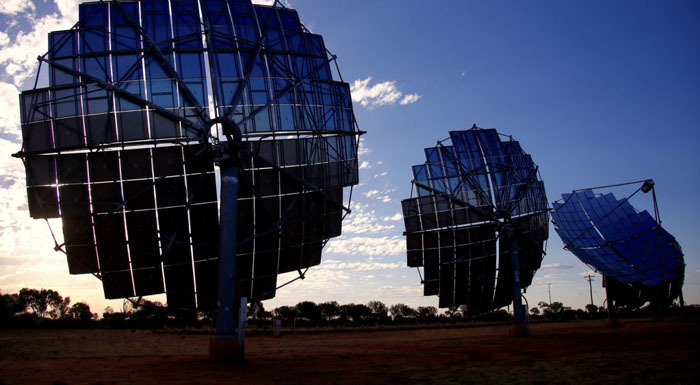 Australia is installing renewable energy facilities at a faster rate than any other country. Research shows Australia is on track to meet its Paris climate commitments five years earlier than expected -- in 2025. Andrew Blakers is a professor of engineering at the Australian National University. "Currently above 20 percent renewable electricity. At this rate we are going to get to 50 percent in 2024, and 100 percent in about 2032 if we just keep doing exactly what we are doing now. This is four or five faster per capita than the United States, China, Japan or the European Union," he said. There is broad agreement, however, that renewable energy has an increasingly important part to play in Australia. It is a sunny and windy place. It has a range of renewable power sources, including solar, wind, hydro and geothermal energy, which taps heat in the earth. It has a growing rooftop solar industry. At the end of last year, more than 2 million Australian homes had rooftop solar systems. Renewable energy will help to cut emissions in Australia, which still uses coal to generate much of its electricity. Recent extreme conditions in Australia have again focused attention on the impact of climate change. January was the hottest month ever documented, and 2018 was the third warmest year on record.